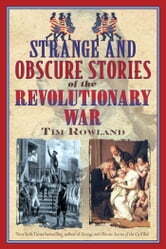 Astonishing Events from the American Revolution That They Don’t Teach in School! We all know about Washington’s crossing of the Delaware and Betsy Ross’s stitching together the Stars and Stripes, but how about a little-known, valid reason for the war itself and why General George was able to survive a plague that wiped out many of his fellow countrymen? 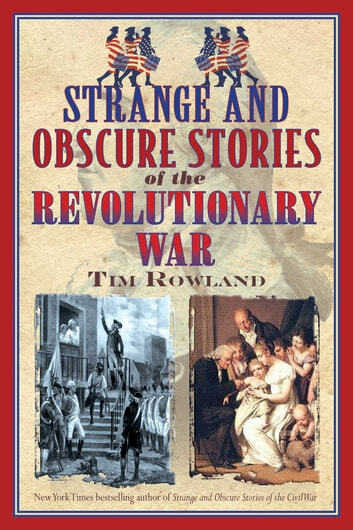 History buff Tim Rowland provides an entertaining look at happenings during and surrounding the Revolutionary War that you won’t find in history books. He digs into the war’s major events and reveals the unknown, bizarre, and often wildly amusing things the participants were doing while breaking away from Great Britain. For example, conventional wisdom says that no taxation without representation” was an important reason for the revolution, but not in the way we’ve been told. Colonists paid the wages of common-court judges, who were reluctant to rule against the men who paid their salaries. Therefore, duties on molasses (the key ingredient in rum) were generally unenforced until the British cut the tariff in half. Strange but true, the spark that touched off the revolution was in fact a tax cut. During the French and Indian War and then again in the first year of the revolution, the British were accused of biological warfare, infecting blankets with smallpox and then concealing them in Indian camps. So feared was the disease that soldiers began to illegally inoculate themselves before widespread vaccination was finally ordered for the army. Washington himself was immune, thanks to a Caribbean trip taken as a young man when his brother Lawrence sought a cure for tuberculosis. Lawrence wasn’t cured, but George was infected with smallpox in Barbados. As a young man in a warm climate, he survived. As an older man in a northern winter, however, the story of the father of our country might have had a different ending.